March 15, 1991. 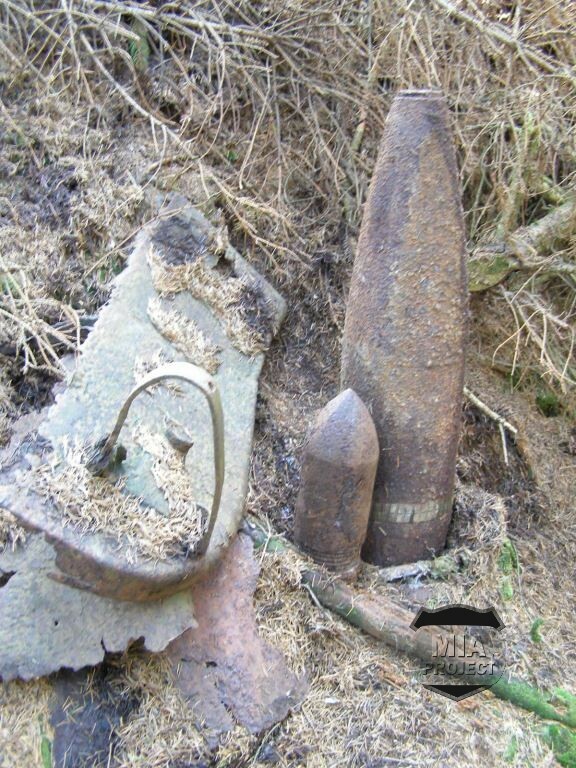 Hidden under a soggy layer of spruce needles, Jean-Louis Seel discovered an artillery shell that appeared older than anything manufactured during World War II. He pulled the projectile loose from the wet, black earth where it had rested for decades. Although heavily rusted, he could see that it had a copper driving band around its base and a corroded fuse at its head. The band had no rifling marks, which meant the shell had never been fired. He vaguely recognized the projectile as World War I vintage and probably German. Being a student of military history, Seel knew that no World War I battles occurred in the Ardennes, but he also knew that Camp Elsenborn was nearby. The Germans had established that military post in 1894 and had used it as an artillery school and firing range until 1918. 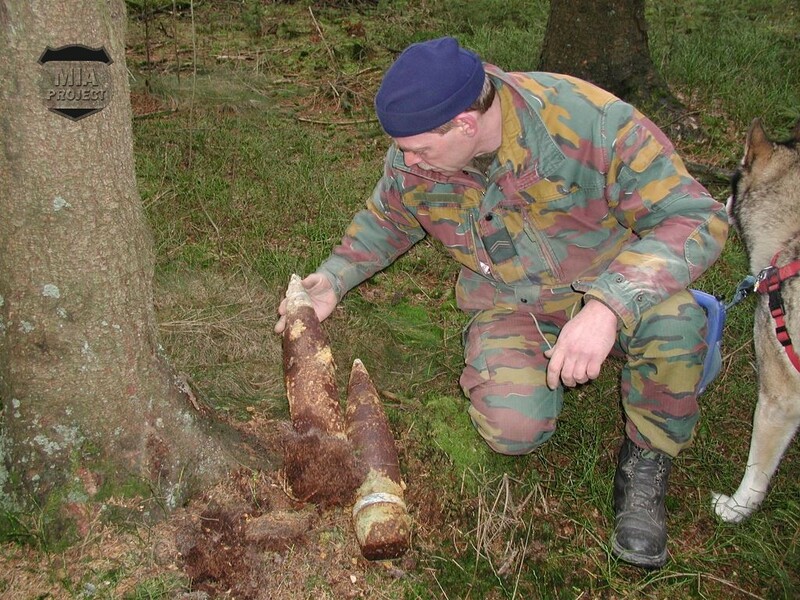 That seemed to explain the presence of such a projectile in the forest north of Rocherath, Belgium. 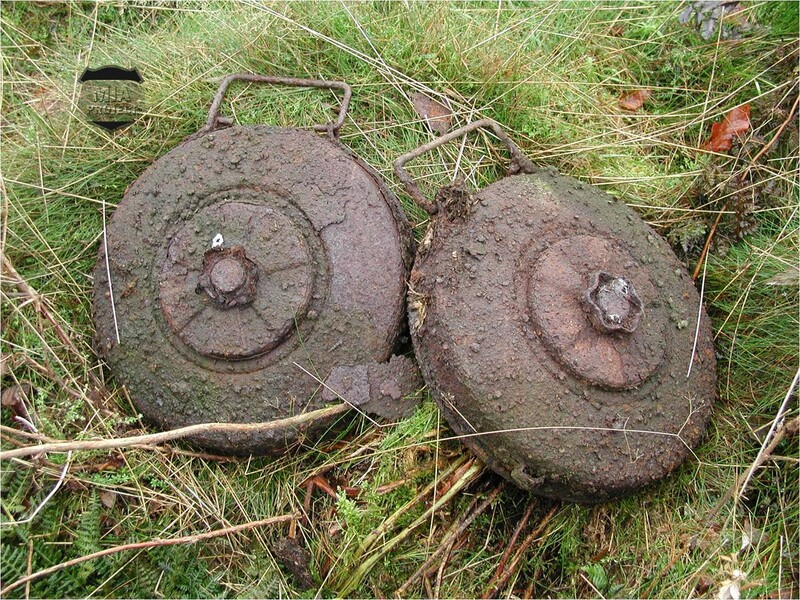 After removing the artillery round from the ground, his metal detector indicated other shells rested there, too. He turned the earth with his mattock and located three more projectiles identical to the first one. Afterward, he reburied the shells and noted their discovery in his journal. The episode remained in a distant corner of his mind for more than a decade until December 2001. Having discovered the remains of six 99th Division soldiers earlier that year, Seel and his three Belgian colleagues had gained notoriety in the region and had made new friends. 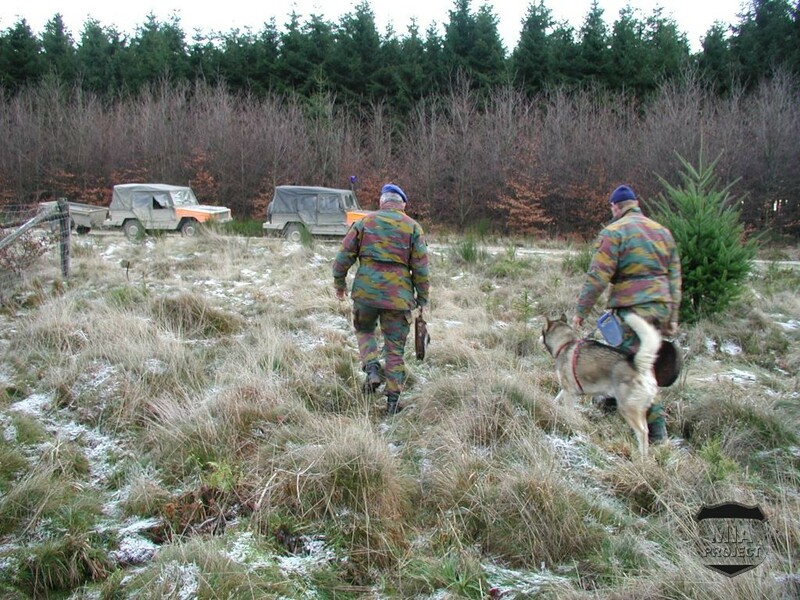 Those friends included a team of Belgian Army soldiers stationed at Camp Elsenborn. The men belonged to the Explosive Ordnance Removal and Destruction Service or SEDEE (pronounced “See-Dee”) an acronym for Service d’Enlèvement et de Destruction d’Engins Explosifs. 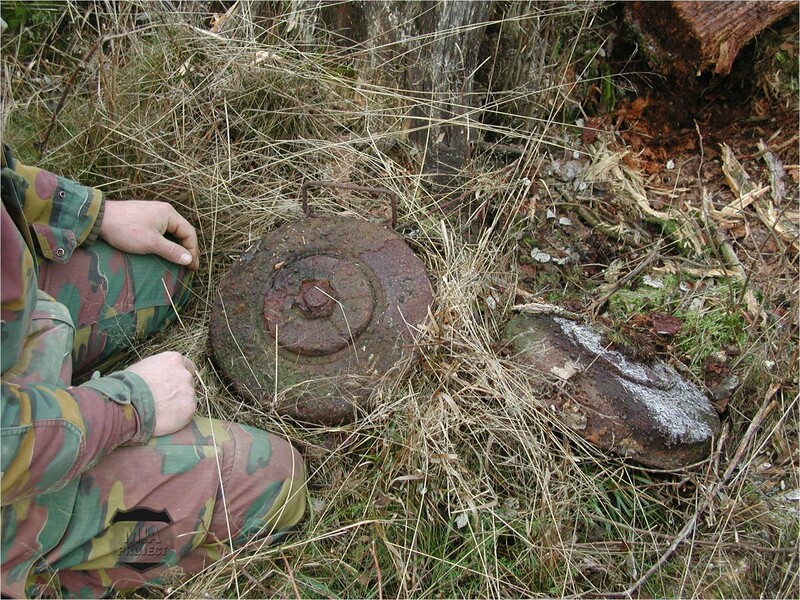 For many years, these munitions specialists had assisted farmers and forest rangers throughout the area by removing and destroying unexploded ordnance left behind from World War II. 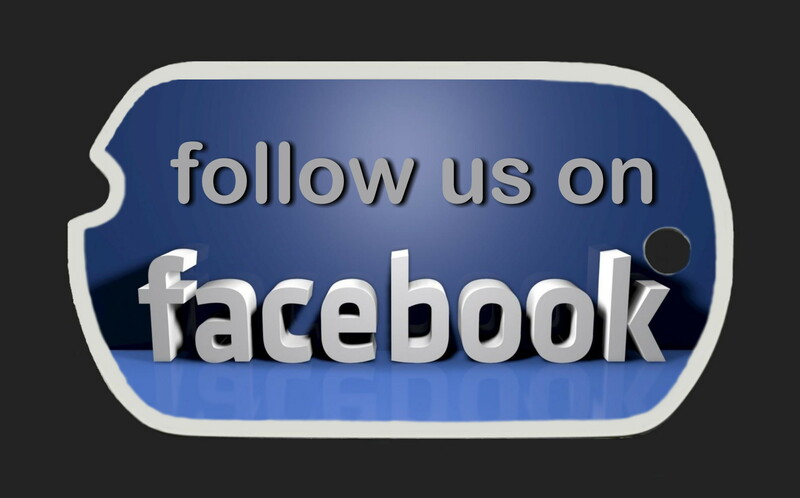 The specialists had also deployed around the world on a regular basis to remove ordnance from other former war zones. 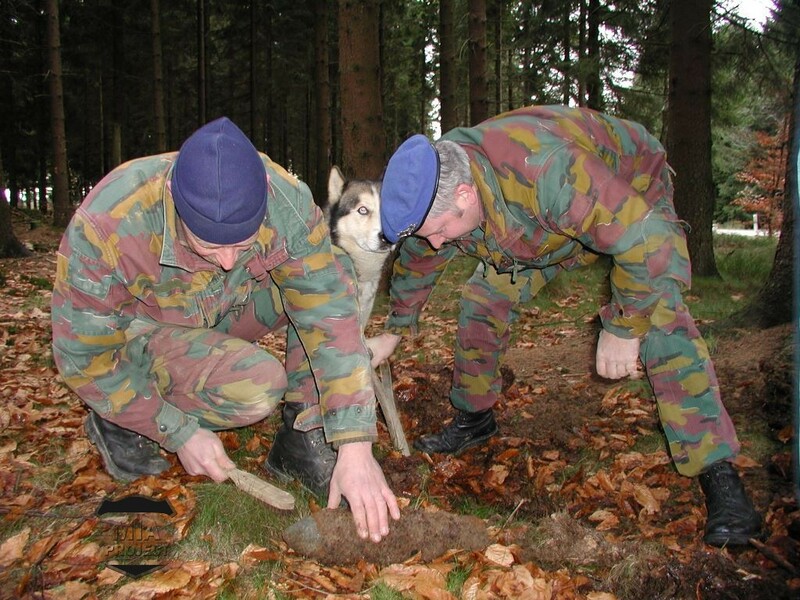 Now the specialists wanted to cooperate with Seel and his colleagues and make use of their knowledge regarding the whereabouts of unexploded ordnance. On the afternoon of December 10, Seel and Marc Marique met with two SEDEE men, M/Sgt Rudy Windey and Chief Cpl Jean-Louis Philipon. Outfitted in camouflage uniforms, the soldiers were career military men, both with grizzled hair and moustaches. 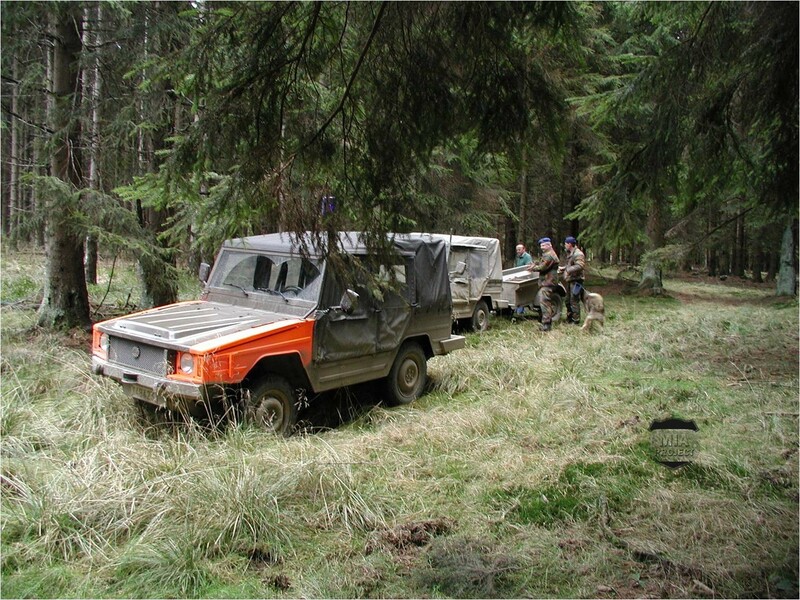 The two men drove a pair of Iltis jeeps, each with orange-painted fenders. One of the little vehicles towed a trailer for hauling recovered munitions. Seel and Marique guided the men on a battlefield tour, collecting deadly artifacts all along the way. One of their stops was at the spot where Seel uncovered the World War I shells a decade earlier. Windey and Philipon quickly located the shells, and, after removing them, discovered twelve identical shells deeper in the ground. 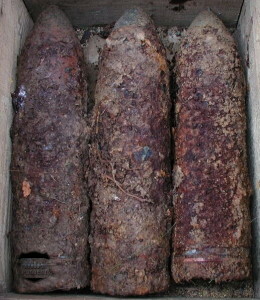 All were German 105-mm artillery rounds. Someone had buried them in a neat, prism-shaped pile. But who and why? The two SEDEE men returned to Camp Elsenborn with a trailer full of material to destroy, although they decided to save one item. They defused a Tellermine 43 (an antitank mine manufactured during World War II by the Germans) and retained it for their collection. The disposal specialists slated the other items for demolition, and that work began the following day. 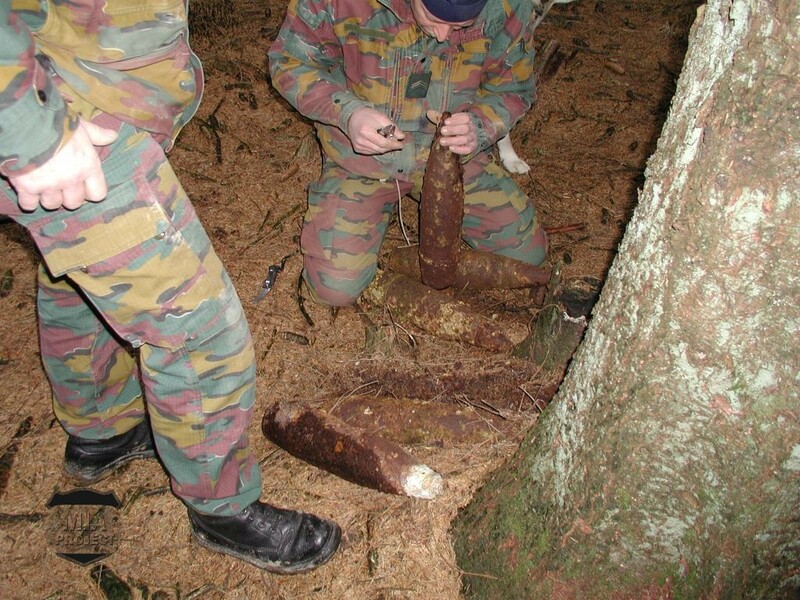 The specialists planned to destroy the munitions in small batches. 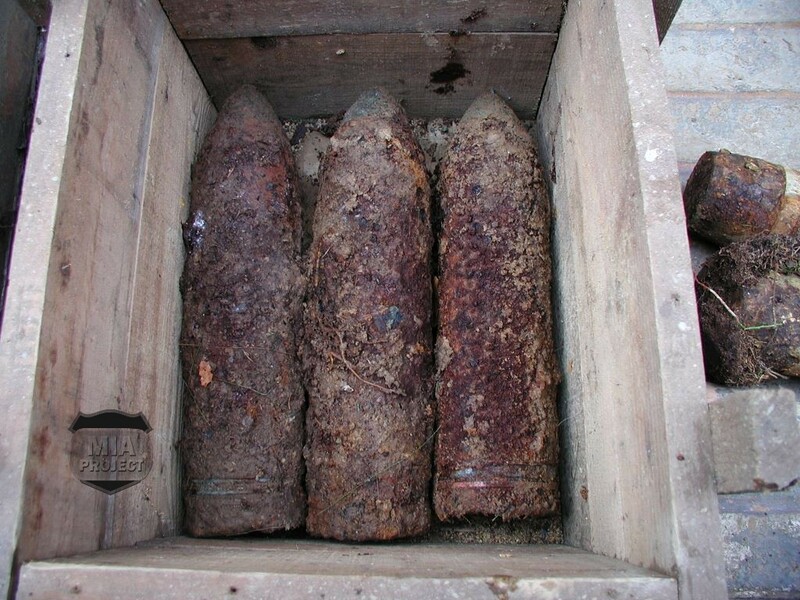 One of the men rigged a TNT charge to four of the World War I shells. The charge packed enough power to rupture the shells and detonate their contents in a thundering secondary explosion. But something unexpected happened. After setting off the charge electronically, the men heard no secondary explosion, only a loud thump, like someone kicking a soccer ball. They looked over to see a white cloud boiling up from the ground. Poison gas! The soldiers had no masks to protect themselves. No way to escape. Mercifully, the wind blew the cloud away from the men and out over uninhabited grassland. The near tragedy prompted an urgent telephone call to Northern Belgium, where the SEDEE had a toxic-munitions platoon. Its members–all Flemish speaking–operated a disposal facility for chemical weapons routinely discovered on World War I battlegrounds. 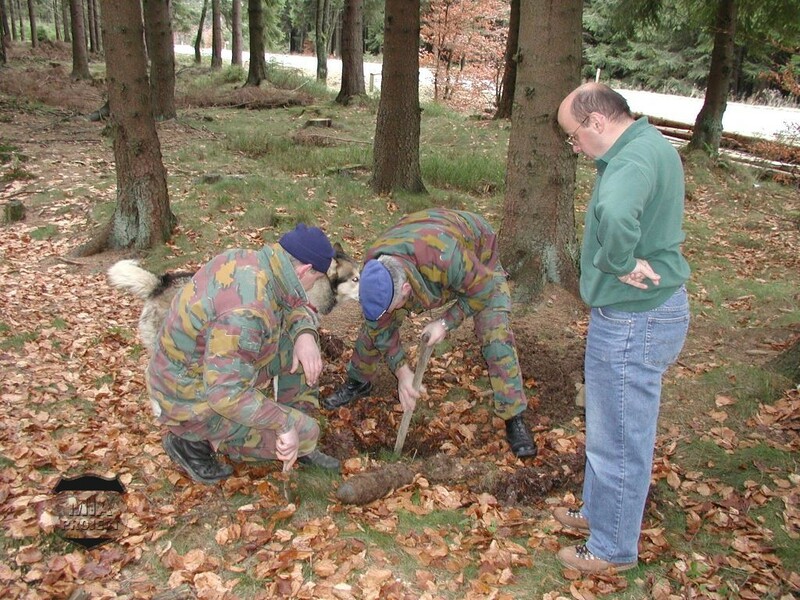 Members of the unit traveled to Camp Elsenborn and examined the blown shells and took possession of the unexploded ones. Those deadly artillery rounds were a mixture of “green-cross shells” (phosgene) and “blue-cross shells” (diphenylchloroarsine). During World War I, the Germans had painted their chemical shells with colored crosses to signify their contents. Those markings had long since vanished from the rusty shells that Seel discovered. 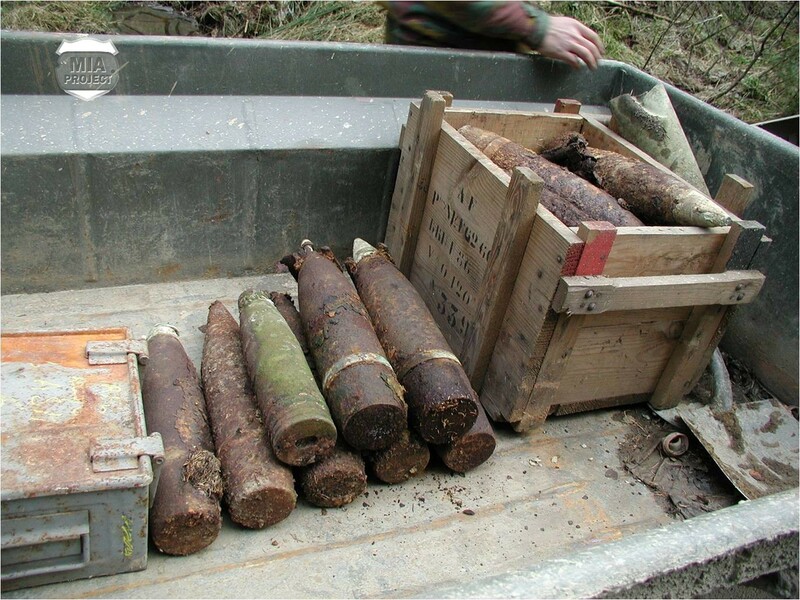 The soldiers from the toxic-munitions platoon transported the remaining shells to the disposal facility. Workers there used a robot to drill into the projectiles and a vacuum to purge the contents. The nightmarish material from inside eventually ended up in a special furnace which burned the chemicals at high temperature. 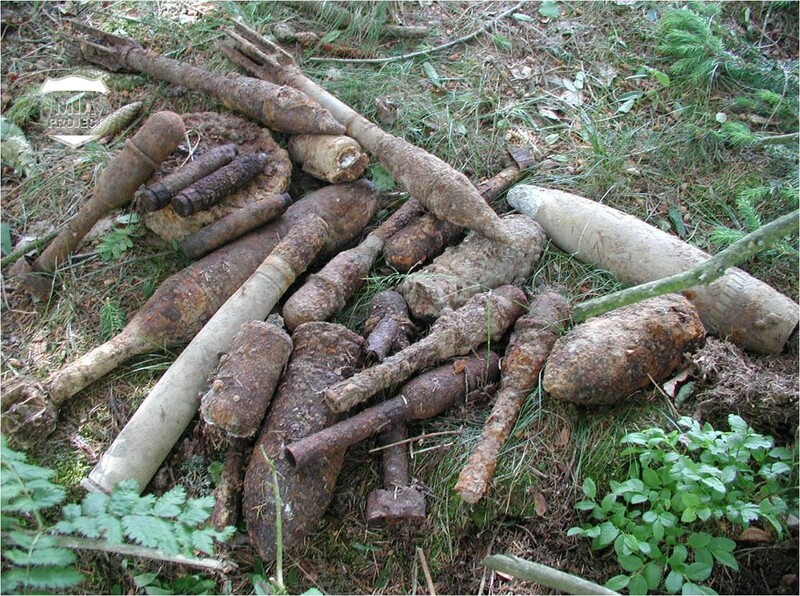 Besides disposing of the shells, the SEDEE ascertained where they came from and who buried them in the forest north of Rocherath. The answer surprised Seel. He learned about a dirty little secret the Germans had kept for a long time. Catastrophe struck in May 1920. Lax safety procedures led to a fire that triggered a series of massive detonations. 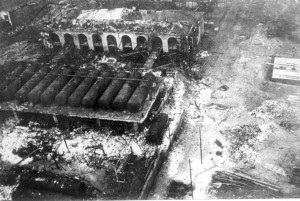 The blasts smashed much of the complex and put it out of operation. Even so, a trainload of poison-gas shells arrived soon afterward. Embarrassment prevailed in light of the ruined factory, and the U.S. Army ordered the entire site demolished. However thousands of undamaged shells still remained. 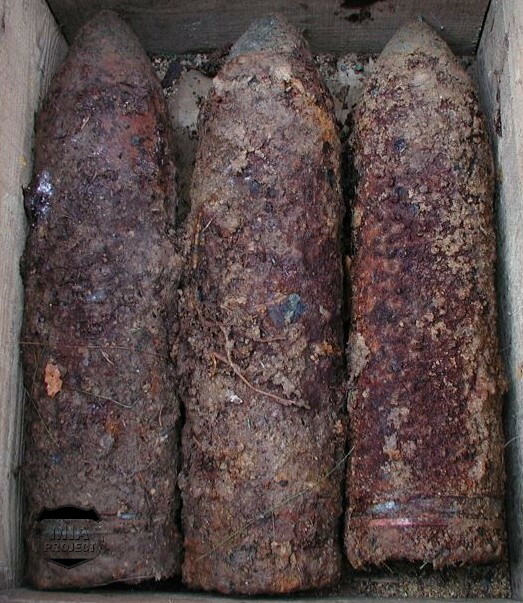 German authorities worried about the chemical shells and suggested they be dumped at sea, or blown-up at a large military reservation, or simply buried. The least-cost approach prevailed, and burial became the preferred method of disposal. Two scrap-metal merchants handled the job, and 20,000 chemical shells disappeared without record. The factory grounds became the resting place for thousands of them, but the merchants also sprinkled chemical shells at unmarked locations along the Belgian-German frontier. In 1928, government officials declared the factory area safe and closed all pertinent files. The truth remained a secret until the end of the 20th Century. Thousands of buried shells lay undisturbed until March 1991 when Jean-Louis Seel chanced upon four of them, but at the time he had no inkling of what he had located. Several weeks later, the Germans coincidentally discovered several hundred chemical shells at the factory site. The shocking revelation made headlines in Germany and launched a clean-up project that spanned years and spent millions of Deutsch marks but ran out of funds before completing the task. As a precautionary measure, government officials restricted access to the area and issued gasmasks (so called “escape hoods”) to local residents.